This fall we will get nostalgic. 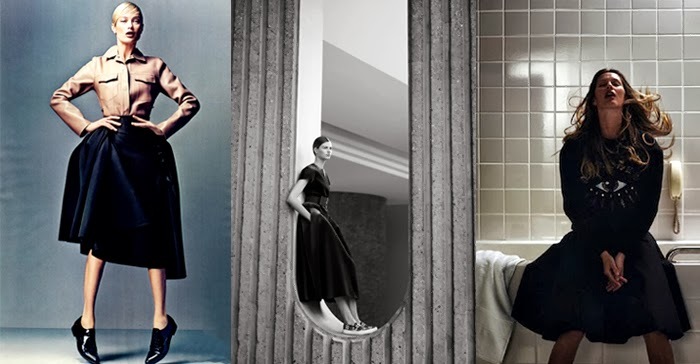 Fashion returns to recall one of the favorite decades in terms of design: the sixties. Return lines flared dresses, coats style Jackie Kennedy, by knee boots, back the plastic like fabric, and psychedelic prints. I couldn’t be more happy to retrieve one of my favorite decades. Gucci It sets her sights in Swinging London movement, their dresses of line A, your perfect boots knee, his hair short and perfect coats of minimal lines. All in beautiful pastel that make the autumn-winter Gucci collection a favorite to watch and wish. Each new collection of Valentino It is a new collection full of beauty, romantic and feminine that we love more every day. In addition to much lace and much transparency, this fall in Valentino We have many sixties dresses to be a girl ye-ye. Halfway between the 60s and the 70s, Marc Jacobs recover psychedelia, point, and tunics to wear over pants. Plastic and plexiglass were an essential part of the fashion of the sixties. In the parade of Miu Miu We have more dresses ball gown line, and a few coats, raincoats and boots that would have triumphed at the time and now we return to convince to wear this autumn. The capes of hair color and prints wallpaper are the reference that recovers Prada to dress this Winter 2014 / 2015 as if I from actually traveling in the time up to the 60’s.